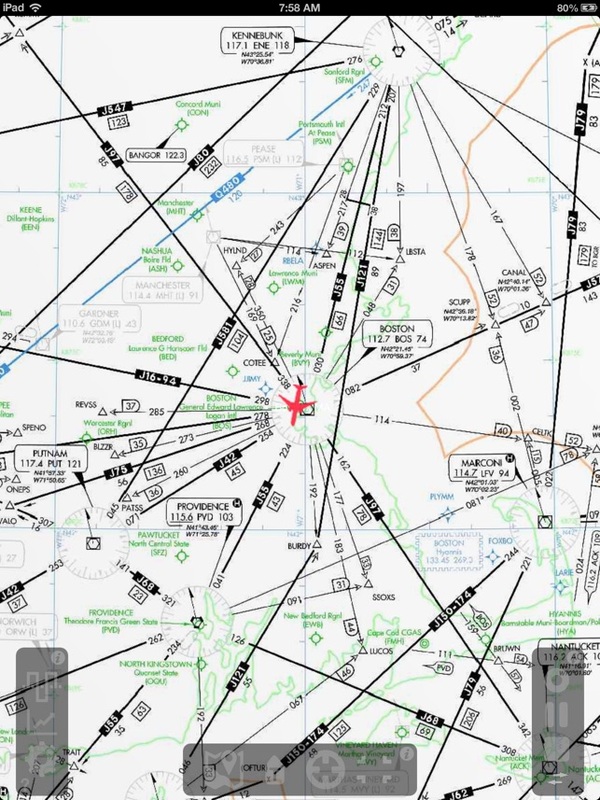 3) capture the avionics data in files for further off-aircraft analysis. When the Cockpit application is operating in test mode, it allows the installer of the flyTab hardware to verify the installation in the aircraft and certify it for correctness. The installer is able to verify that the data displayed to the iPad is precisely the data that is shown on the aircraft's instrument panel. The platform also offers a simulation mode. When in simulation mode, the Cockpit application allows the user to visually replay flight data from Cockpit data files. 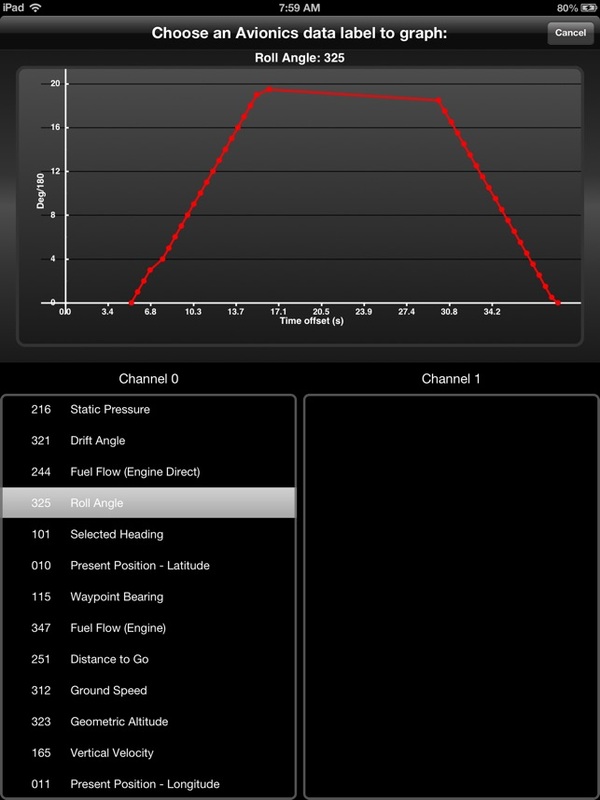 This allows the user to see precisely what the installer or pilot was seeing on the aircraft instrumentation while in operation. 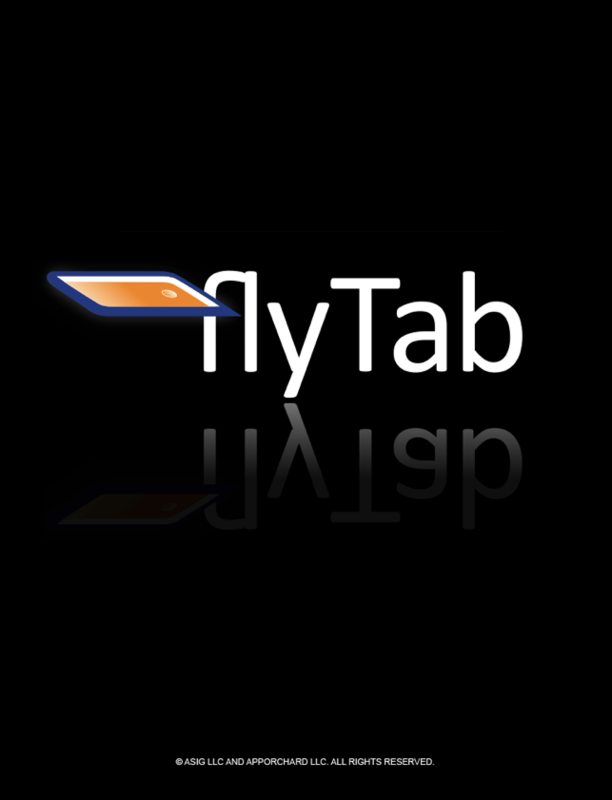 The simulation data may have been collected by any application using the flyTab SDK, of which flyTab Cockpit is the first. Without the flyTab hardware connected to the iPad, the Cockpit app functions only in simulation mode. 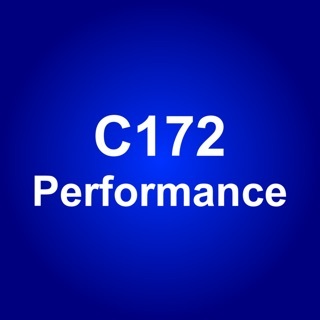 In this mode only avionics playback is enabled. 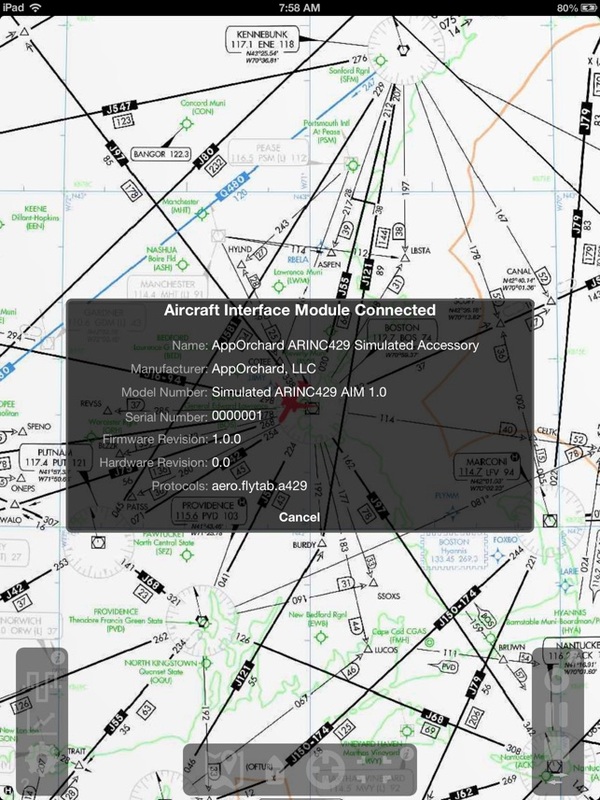 An example avionics file is provided as a resource of the app to allow the user to see how to construct their own files should they so desire. The settings page is provided to allow the user to download additional map layers for use in the display. These are large files and cannot ship with the app. 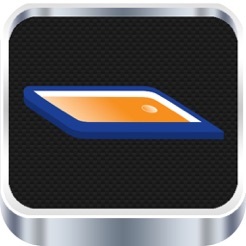 Certain map layers are only available to registered users of the app. The settings page offers the user the opportunity to register as well as download those layers. The user begins a simulation run by touching the play button located in the lower right corner of the sceen. This will cause a list of available simulation files to be displayed. The user then selects a simulation file and the simulation begins to play to both the primary flight display and the moving map. The moving map display can be changed with various overlays by touching the maps button and can be enlarged, reoriented and zoomed using standard map gestures. 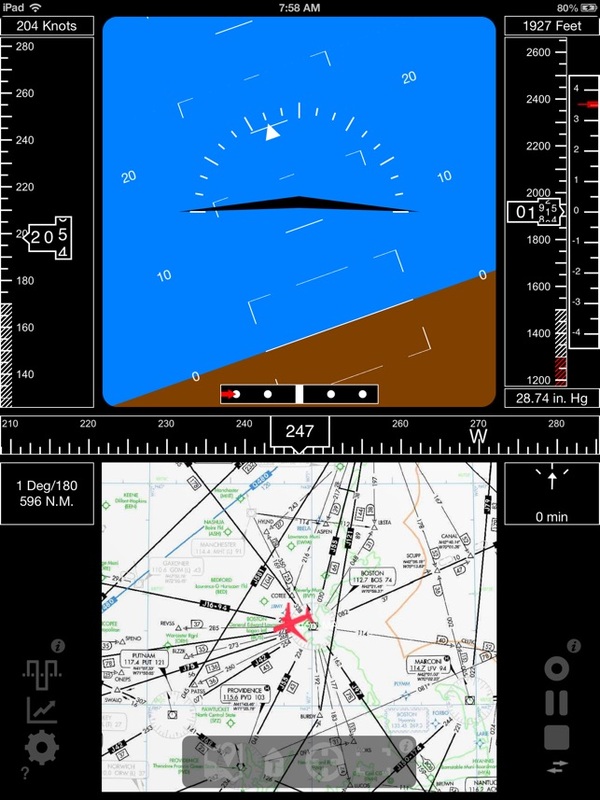 It is important to note that Cockpit, like all FlyTab SDK-based apps, can gather information from the aircraft while running in background as well as when it is the foreground app. You should be aware however that this is similar to running location services in background and that "Continued use of GPS running in the background can dramatically decrease battery life." © Copyright ASIG LLC and SpatiOS Aviation LLC. All Rights Reserved.